Welcome To Denver's Home for Recreation, Networking and Having a Darn Good Time. 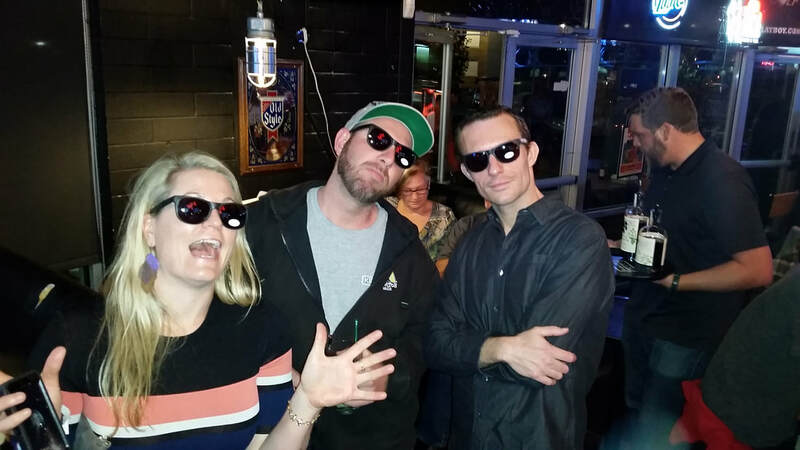 May Social on 5/11 - Get more Info Here! Session 3 2019 League Registration is Open! See our full list of current denver leagues & Activities! Sign up for an activity now! Welcome to your one stop for Being Active & Social Denver! Meet. Play. Chill. offers a variety of sport leagues, clinics, social events and tournaments for our players. Whether at our club-wide social events or at one of our many sponsor bars after your match, we provide great opportunities for you to meet new people, socialize and network! Join the fastest growing leagues, tournaments and drop-ins in the Denver metro area. Volleyball (indoor, sand & grass), Softball, Kickball, Soccer, Dodgeball, Flag Football, Escape Room Leagues, and more! We focus on providing a 5-star experience for our players. Longer matches, qualified officials, more playing time and a responsive league office! To play with Meet. Play. Chill., you need to be 18 or older and ready to have fun! Don't have a full team? We are the league that ACTUALLY places individual registrations on to team!!! Most of our full teams today came from being formed as a group of individual registrations! We've placed over 1000 players onto teams and into leagues! Register & join Meet. play. chill. now! Join our upcoming leagues as an individual player, small group or a full team! Awesome social events where you get to meet fellow Meet. Play. Chill. members out of the gym! Check out our fun upcoming events. Looking for more ways to play?! We offer numerous drop-in games with zero week-to-week commitment. 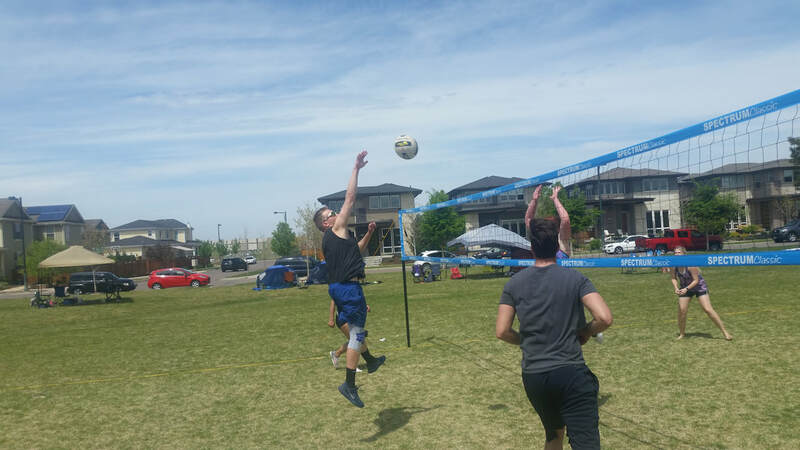 Volleyball tournaments for grass, sand and indoor. Soccer tournaments & kickball tournaments coming soon! What makes Meet. Play. Chill. different from everyone else? First - we are NOT a large nationwide company. Denver is our home and where we work (and play!) with our neighbors. Most of our players know us, Mike and Erin, by our first name. You'll see us at the leagues - running check-in, partying with you at the socials or even reffing your matches. We take great pride in providing you the best experience possible. We are NOT the largest leagues in Denver - though we are the fastest growing! We don't spend money on expensive corporate offices, we don't spend your registration dues (league fees) on advertising. We use that money to buy better equipment, get better fields and provide the best bar specials possible to you. We are always expanding our offerings of new sports and activities. Have a suggestion? Seriously, e-mail it to us now and we'll see if we can make it work. 1) A friendly, sportsmanlike atmosphere. Everyone is welcome (provided you are 18 or older!) and are willing to have a good time. 2) More time playing. We provide the longest matches and games of any league in Denver. If you are scheduled for a one hour match, that field or court time is still yours, even if the match finishes early. 3) Smaller rosters. We NEVER stack and overfill rosters where paying players are forced to sit on the sidelines. You will get the most playing time if you register with Meet. Play. Chill. and less paying to "sit on the bench". 4) We offer a wide range of skill levels to ensure everyone a great time. It's not fun being a beginner player and playing against a bunch of advanced players and vice versa. We do our absolute best to match up skill levels so that you are playing in the right atmosphere and competition level! 5) It's more than just sports. We seriously research all of our partners and facilities. We don't accept just any sponsor bar to provide before/after your matches - we try them out ourselves and we hook you (the players) up with some of the best specials in town! We offer a club-wide social every 2-3 months - it's just as much fun networking and meeting people when they aren't wearing gym clothes! 6) We CARE. We don't just visit our leagues and drop-ins - we actively are a part of them. We care not only about your playing experience, but also about you. You will find playing with us isn't just showing up once a week to play in a league or drop-in. This is where you will meet friends, join others for coffee (or beers!) and truly make connections with real people. We welcome you to our family! Come see why Meet. Play. Chill. is the best place to PLAY and SOCIALIZE in the Mile High City! Don't miss out on YOUR chance for fun Denver. Join now!